Barbara Melosh’s story was a common one. A second-career seminarian, she arrived at her first pastorate brimming with enthusiasm and high hopes. The blue-collar congregation to which she’d been called had a glorious past but an uncertain future. Certain that she could turn around its slow yet undeniable slide into decline, Melosh inaugurated a number of church growth and outreach programs. Most of these efforts had little effect, and the ones that did seem to work soon suffered reverse outcomes and eventual demise. 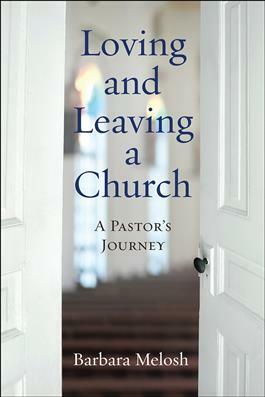 In the end, Melosh had to conclude that the members of the congregation liked their church the way it was and that she could not drag them into a future they did not want. Yet while the congregation failed to change itself, Melosh notes, it succeeded in changing her. Simply put, it made her a pastor. At times heartbreaking and hilarious, Loving and Leaving a Church offers a glimpse into the challenges and opportunities of ministry in a mainline church.